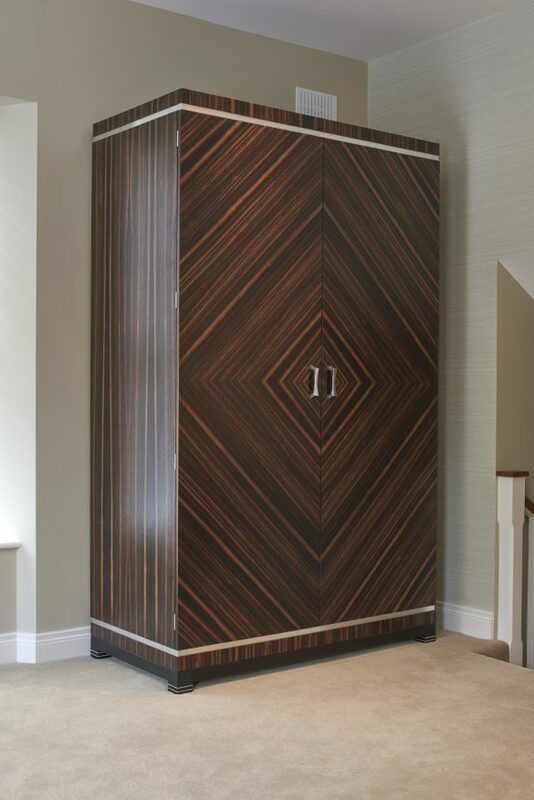 Luxurious Art Deco inspired suite of bedroom furniture in Macassar ebony with quartered veneer patterning, burr walnut, ebonised walnut and white metal detailing throughout. 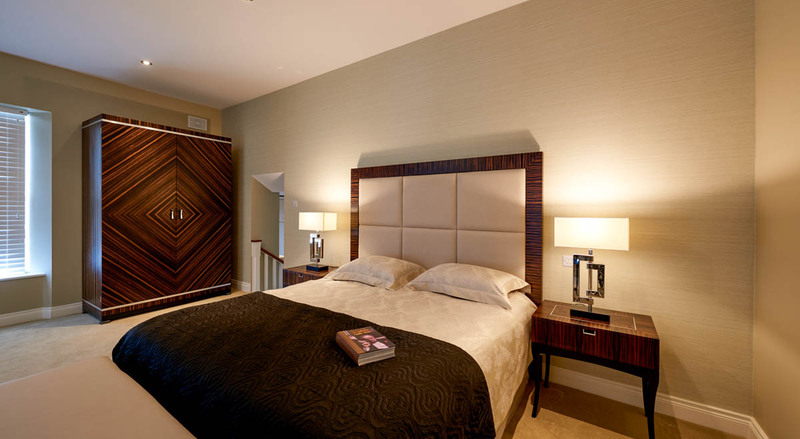 The headboard in Macassar ebony and stylish ottoman are upholstered with decadent cream leather. 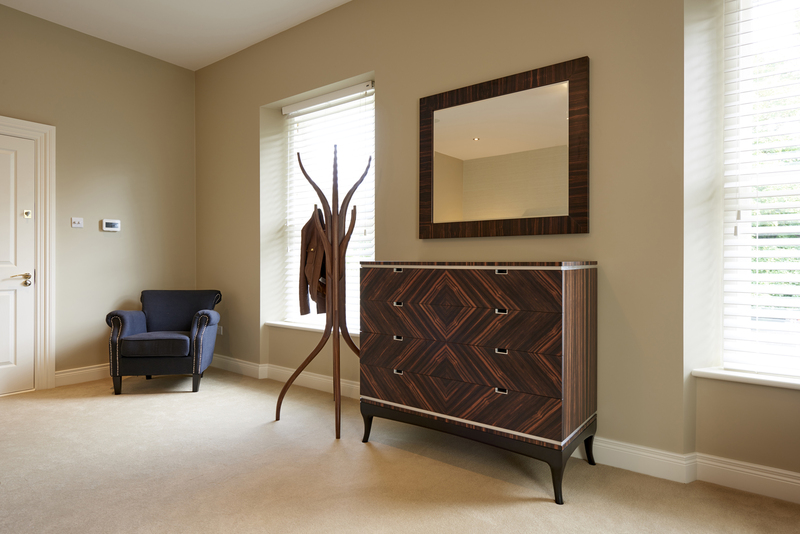 The adjacent bedside tables, in Macassar ebony and burr walnut, have hand sculpted legs in ebonised walnut and white metal detailing. 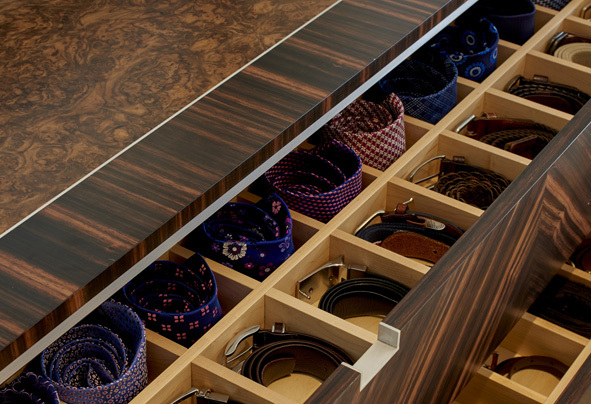 The maple interior of the chest of drawers and armoire were highly customised to store the couple’s envious accessories collections. 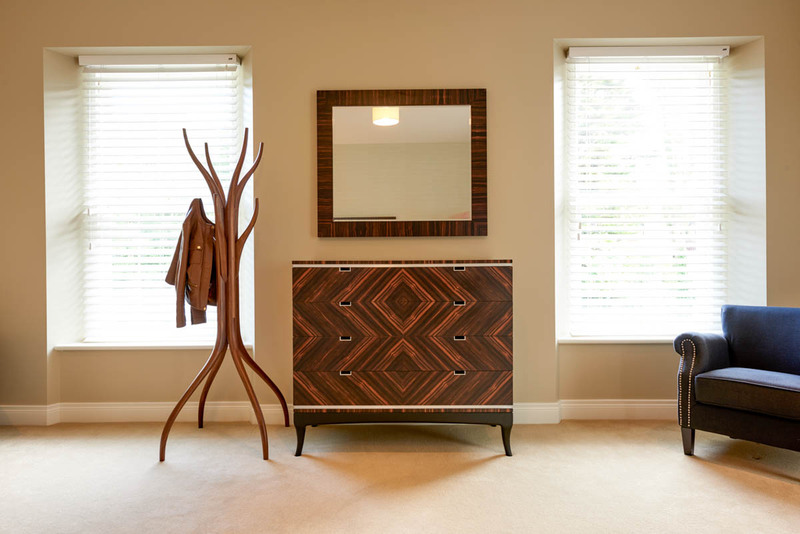 The coat stand is hand sculpted in solid walnut. The piece is crafted using an intricate stack laminating technique which creates a visually striking layered effect when sculpted. 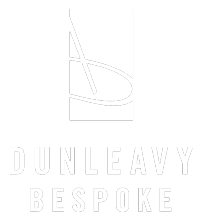 “We met the very talented Dunleavy Brothers two years ago. Tim and Sean are two really lovely decent guys. Their pieces on display at a show really caught our attention. They were all stunning, one of kind, original and individual. Since then we have commissioned them to make an incredible dining room table and side board, utterly amazing office furniture for two and a master bedroom collection (headboard, side tables, chest of drawers, mirror, ottoman and armoire) that are like nothing we have seen or could have imagined.